The economic crisis in the country is being discussed. 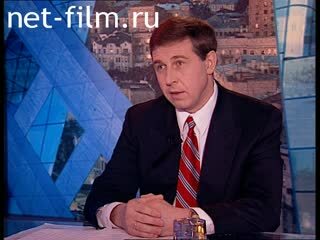 Andrei Illarionov stands for the devaluation of the ruble. Indicates a large number of loans borrowed by the government since the times of the Soviet Union, and, continuing to grow, in connection with the government's policy. In particular, the inclusion of Yuri Maslyukov in the government apparatus is being discussed. Andrei Illarionov compares the Russian economy with the gambling house, when money is not earned, but simply redistributed among the players. An example of embezzlement by the Central Bank of investment funds is given. Illarionov Andrey - director of the Institute of Economic Analysis.